Enter Neverland and go on a mini-golf adventure with the one and only Peter Pan — but be on the lookout for the mischievous Captain Hook! 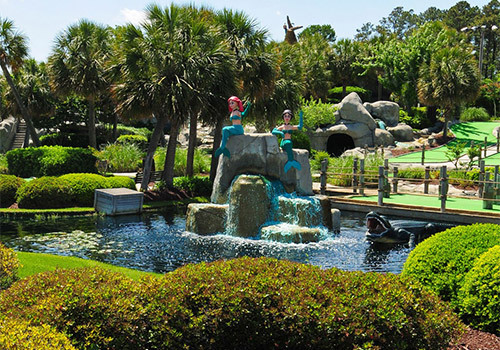 Channel your youthful spirit and help rescue Peter Pan and the Darling children from the grasp of Captain Hook while conquering this one-of-a-kind mini-golf challenge. 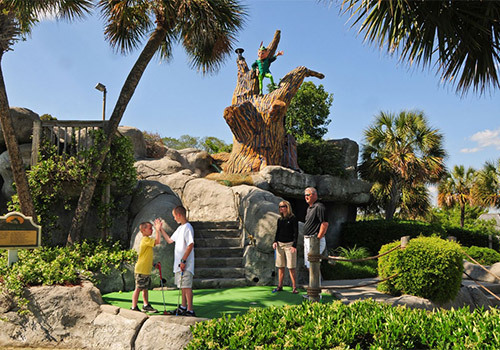 The challenge continues at Captain Hook’s Adventure Golf while the conniving Captain Hook is still intent on defeating Peter Pan. 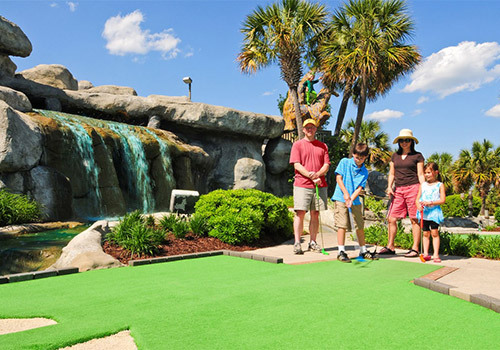 Here, test your family and friends to a round of Myrtle Beach mini-golf. Then, like Peter Pan, instead of walking the plank of Hook’s ship, claim yourself victorious at Neverland. 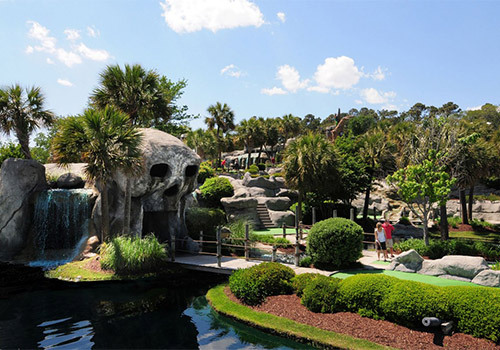 What are the hours of operation for Captain Hook’s Adventure Golf? 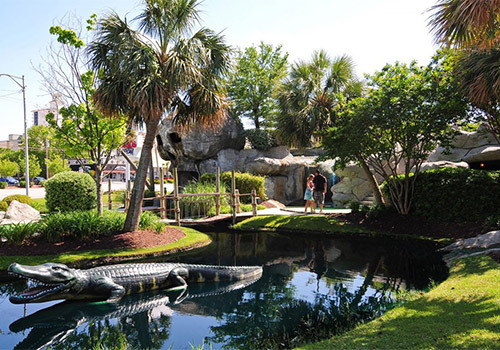 Captain Hook’s Adventure Golf is located at 2205 N. Kings Highway in Myrtle Beach.